Grey Owl Capital Management, LLC is a Virginia registered investment advisor whose mission is to provide superior absolute investment returns for clients. Founded in May of 2009 and located in Falls Church, VA, the firm provides a go-anywhere, opportunistic investment process that seeks out the best alternatives for capital appreciation across multiple assets classes. The firm’s principals both hold the Chartered Financial Analysts (CFA) designation. 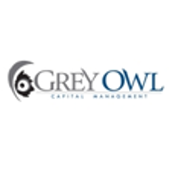 You can find out more about Grey Owl Capital Management, LLC at www.greyowlcapital.com or by calling 888-GREY-OWL (888-473-9695). Will World Wrestling Entertainment Pin NBC?